We’re now in the third week of Destiny 2: Forsaken. The hardest Raid in Destiny’s history is out. The Iron Banner Crucible event has returned. And things keep evolving. Where players expected answers, more questions and mysteries keep rising in their place in the best of ways. We’re three weeks in and I am deeply invested in a way that I haven’t been since early in Destiny 1′s life. My clan is active again and loving every moment of hunting for powerful gear and solving the mysteries that Bungie throws at us. The studio embraced the longtime fans that want more content, deeper content. For better, worse, and everything in between, the hobby is back with Destiny 2: Forsaken. I’ve already talked a lot about the specific things I like about Forsaken. After a week with the expansion, I had enough to write up more than 3000 words on every little piece of that game that I loved, and I was even trying to constrain myself. For that first week, I threw myself all in on Destiny 2, grinding out powerful gear, enjoying every activity it had to offer, and getting back into the Destiny hobby with longtime friends that love the game too. But in the back of my mind I had to temper my excitement. What if it doesn’t last? I really enjoyed the vanilla Destiny 2 at launch as well, but the endgame pursuits proved to shy away from what I really wanted Destiny to be. After my spew of words last week, I thought that I’d spend a little bit more time with the endgame, write up a short few paragraphs about whether it lasts in the long-term or not, slap a score on it, and pour myself a glass of whatever I’ve got in the liquor cabinet. It seemed like all the hard work was done, until somebody finished the Last Wish Raid. Outside of the Raid being one of the longest and most difficult we’ve ever seen (It took 18 hours and 48 minutes for the first team to clear it. That’s longer than the original Destiny’s first Raid by about six hours. ), completion opened up a wealth of additional new things for players to do. A new mission became available. A new Strike was added to the Dreaming City. Gambit received a brand new map. The Dreaming City also began to change as the curse of Riven started to take over everything. I’ve only played a small portion of the Raid. Even after my own great level grind, I wasn’t quite a high enough level to make my way through the whole thing. In fact, within the first few days it was out, only about 50 fireteams came away from it victorious. That’s only 300 people in the world (possibly less, if anyone did it twice) that had completed the Last Wish Raid within about 96 hours of its launch. That’s nearly unheard of in Destiny history, yet it has fans excited and clamoring for more. Knowing that the endgame content can’t be bowled over quickly is exactly what Destiny players have wanted for a very long time. From what I’ve played and seen through livestreams and videos, Last Wish could very easily be my favorite Raid yet. Guardians getting duped by the great Ahamkara led to tons of new things for players to do. Usually I run all three character classes through all of the content, but I’ve barely had time to focus on my Titan main. This is with pouring hours a day into the game, much to my wife’s chagrin. If I was running my Hunter and my Warlock, I wouldn’t be here writing this, I can tell you that much. In fact, as much as I love telling people how much I love Destiny, I’d really rather just be playing Destiny. It’s a tough dilemma. Keep in mind that I took more than two months away from the game earlier this year because of the poor place that it was in, so for me to be back on board so wholly shows just how much Bungie turned it around. One of my least favorite enemies to fight in Destiny has been the Taken. There’s just something about them that become annoying to fight, whether it’s the multiplying Psions, the blast shield Phalanxes, or the teleporting Thralls. I was nervous about Forsaken’s entire endgame focusing heavily on this enemy, especially as the Dreaming City gets more and more corrupted with Taken energy. Yet much of the new Dreaming City content that unlocked since the Raid was completed has been some of the best content in the game. The new Strike alternates between the ascendant (taken) realm and the real world. Chunks of rock go whizzing by in the final battle, creating interesting obstacles as you try to escape or pursue the boss. Ascendant challenges offer difficult but fun tasks each week in the Dreaming City. And all of it centers around the Taken. Deep lore is seeded throughout the game, but it isn’t pushed to players, so depending on your play-style, you can choose to embrace it or not. That’s a big theme with Forsaken. It’s a game that you can play your way. Solo players, clans, PvP or PvE players (or PvPvE players) can all find plenty to do and discover within this massive new corner of the stars. 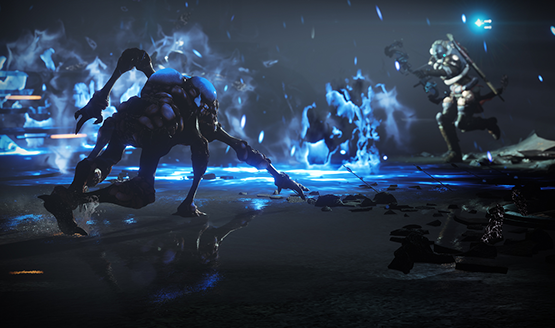 You can chase Triumphs or top-tier PvP rewards, become a legend in Gambit or tackle the Last Wish Raid. If there is one slight downside to Forsaken, it’s that there seems to not be that much new gear to collect (armor specifically), and with most Year 1 gear rendered useless with the new perks, the new gear doesn’t offer as much in the way of visual variety as I might have hoped. I understand why they did this though. Had they made everything available, it would make getting “god rolls” on certain pieces of gear even more diluted. I’m finding gear that I really like, but it’s been some time since I’ve had something new and surprising drop. Bungie is trickling out new sets though, with events like Iron Banner offering new gear to earn, so maybe the variety will come with time. At this point I am mining duplicates to try to find the best perk sets for both gear and weapons, depending on what activity I am playing. As I’m still plunking away towards max light, I’m not letting myself become too attached to anything yet. Three weeks in, multiple hours per day, and I still have a long ways to go for the “ideal” loadout. That kind of grind might turn some people away. Bungie realized that that’s okay. They’ve embraced the community that wants to sink tons of time into their game, because without this kind of content and reason to play, we leave. For players like myself who want Destiny 2 to be a hobby, Bungie delivered. 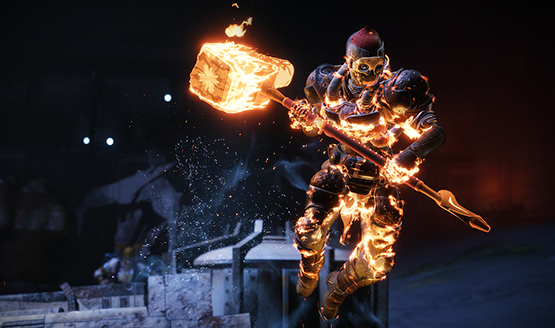 Forsaken leans into the MMO side of the MMO shooter hybrid, offering more reasons to play and to come back than ever before. Players are continuing to discover mysteries too, and multiple items are known to exist that people don’t yet know how to get. What are the mysterious plates that have appeared in various destinations around the game? How do we activate Gambit’s Malfeasance boss? What are the next steps to getting the Wish-Ender Exotic bow, said to be Destiny’s hardest-to-earn weapon? We’re still unearthing and discovering. We’re still just at the tip of the iceberg. Three weeks in and the Dreaming City hasn’t made a full rotation through its cycle yet. Mysteries are being unearthed every day. Some will go nowhere, and some will lead to hard-to-reach treasures lying in wait. Iron Banner returned this week. Faction Rallies will return sometime in the future. Something called “Armsweek” has been data-mined to be coming. 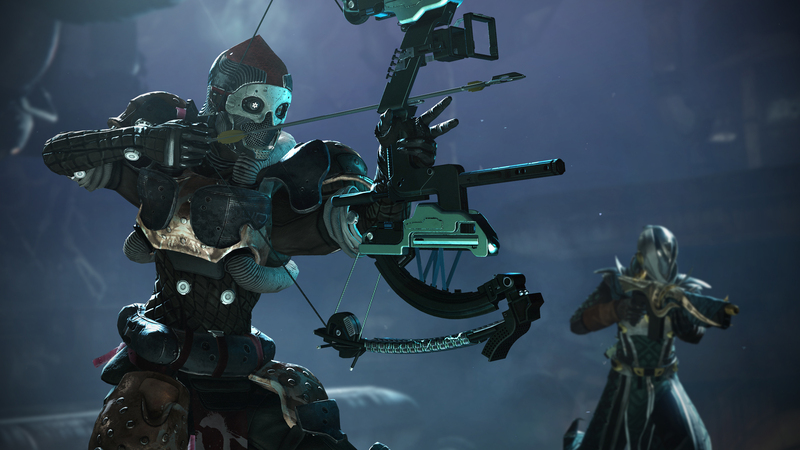 A new Festival of the Lost event will be here for Halloween. Crucible is getting a shot in the arm soon, with new maps and modes free for everyone. And events aside, Bungie is always listening and adjusting things. Forsaken will persistently be a different game with new things to do and discover each and every week, and I don’t see that slowing down anytime soon. To say that Bungie brought the hobby back is an understatement. Even with thousands of words, I feel that I’ve barely conveyed everything within Forsaken and how it reinvigorates Destiny 2. Destiny is about far more than just its content, which is why it’s impossible to review Forsaken as a standalone product. The Destiny experience, however, is in an amazing place right now. There’s an excitement that can be felt throughout the community. Forsaken won’t change your mind if you don’t like Destiny. It wasn’t made to. 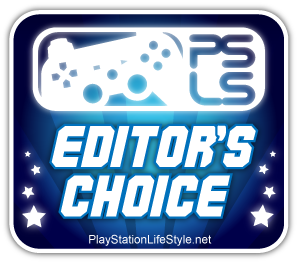 It was designed with the people who love Destiny in mind, giving them more of exactly what they want. If you’ve been curious what Bungie’s MMO shooter is all about (or you fell away after Destiny 2 launched), now’s the time to jump on board. Forsaken breathes life into Destiny 2, safely bolstering the descriptor of “living world game” again. Cayde’s death set the stage, but that was just the opening act, and I can’t wait to see how the scenes change throughout Year 2. Destiny 2: Forsaken review code provided by publisher. Impressions based on Destiny 2 update 2.0.3.1 on a standard PS4. Any changes made in subsequent patches came after publication. For more information, please read our Review Policy.